I'll laugh and stay home. 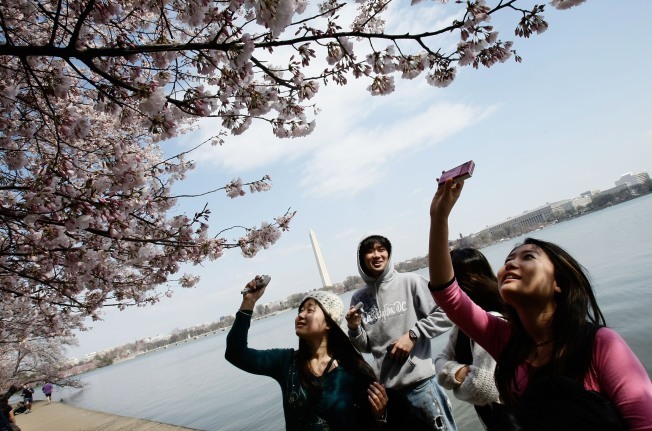 The 2010 National Cherry Blossom Festival is officially under way. It's one of the most popular annual events in our nation's capitol, so it's no surprise it's also one of the busiest times for Metro. The transit agency is warning riders to expect very crowded conditions over the next two weeks, especially aboard Metro trains. Metro is taking steps to keep things moving. 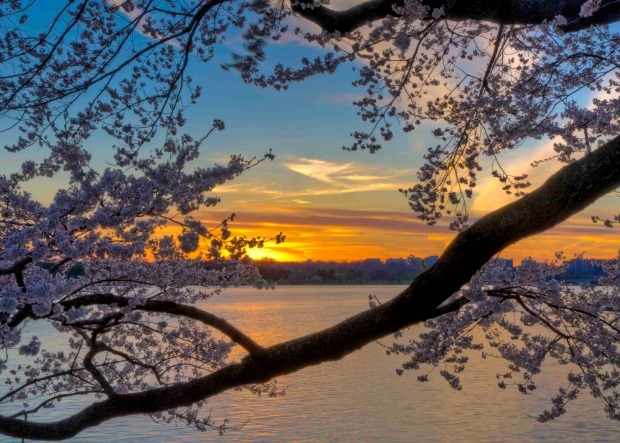 Trains will start rolling at 5 a.m. (two hours early) on Sunday, April 11, the day of the 10-mile cherry blossom race. Avoid traveling during the peak commuter hours of 5:30 to 9:30 a.m. and from 3 to 7 p.m.
Avoid the Smithsonian Metrorail station, if possible. It's the most crowded station for tourists visiting the city during the festival. Pick up a SmarTrip card or a one-day pass before heading to the station. It'll help you maneuver through the system more quickly. Keep a close eye on small children, especially in large crowds. Keep personal belongings safe and secure when traveling on trains and buses. Thefts of cell phones and other electronic devices are on the rise, according to Metro. One more thing to keep in mind: Be patient and courteous. Remember that visitors and first-time Metro users often need extra help in getting around the system.